If these rumors come true then be rest assured that Internet is getting ready to face one of the biggest online battles in its history. Facebook’s dominance in online social networking is unquestionable and Google has been trying hard for last few years to come up with some alternative that could be the ultimate answer to Facebook style of online social networking. Google + 1 could be that answer! Emerald Sea is the code name under which Google is working on its upcoming social networking project which is touching completion under the eagle eyes of Sergey Bin. 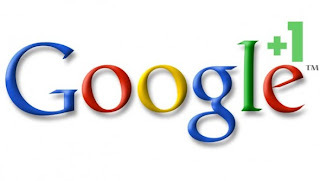 If sources are to be believed then Google’s co-founder has moved the complete social networking project to an area within Googleplex which is called as building 2000. The area around building 2000 is under strict security vigilance while people in there develop something that could well change the course of history. The idea behind “+1″ seems as simple as the concept behind Facebook’s like button. Google will be trying hard so that other websites include its new feature in their pages thus increasing the visibility of Google + 1. We are not sure about the pace of the project as there has been news of internal clashes for this project but it seems like this should be out by spring 2011.